Amaco No. 20 Versa Clay is an extremely versatile, de-aired moist clay with a variety of uses for the ceramicist and potter. Versa Clay can be reworked and shaped much longer than other clays. Even paper-thin, hand-formed ceramic flowers can be shaped without cracking. 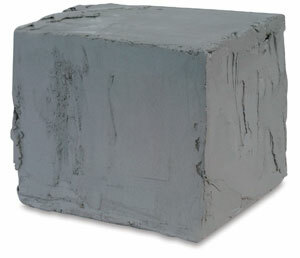 This clay can also be press-molded. Bisque fire to Cone 04 (1971°F, 1077°C). The glaze firing range is Cone 06–5 (1855°F–2205°F), with a recommended glaze firing of Cone 05 (1911°F). At Cone 04, expect 6.4% shrinkage, 14.6% absorption, and a bright white bisque. At Cone 02, pieces have a 6.1% shrinkage, 13.6% absorption, and the bisque is cream buff. This clay is not talc-free, but it is ACMI-approved for talc content.